Bitcoin has often been hailed as bringing financial freedom by removing the need of governments, banks and middle men to store and remit money anywhere in the world in a matter of minutes with minimal fees. Its decentralization and the fact that Bitcoin addresses cannot be easily tied to a real life identity has stymied legislators who have sought to combat illicit use and money laundering. Most current forms of legislation aimed at digital currency focus primarily on regulating exchanges where people convert Bitcoin or digital currencies into fiat and vice versa (such as the New York BitLicense) and taxation. One area which has seen little oversight has been the rise of Bitcoin or cryptocurrency based ‘investment’ programs where the vast majority are Ponzi, pyramid, HYIP scams. These schemes promise extremely high returns and many have gained significant traction among people who don’t completely understand how cryptocurrencies work. This is especially when regulators and the judiciary still can’t make up their minds on whether Bitcoin is a commodity or money with conflicting rulings even within the US. 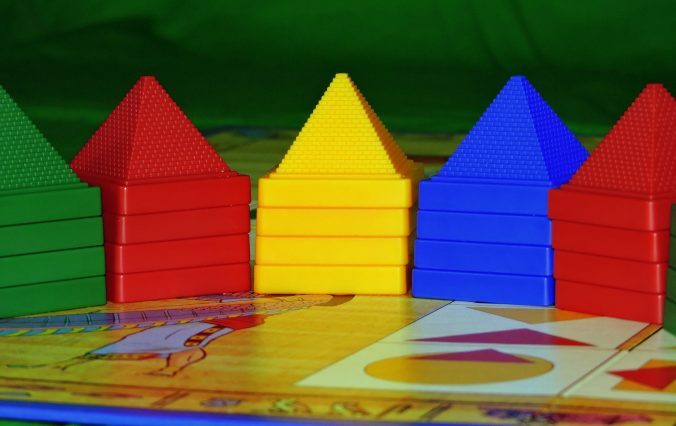 Ponzi schemes, also known as pyramid schemes, have been around since the 1920s and basically work by promising big returns to ‘investors’, with a strong focus on recruitment of new ‘investors’. They generate such returns from the influx of new money coming in from the new investors rather than from profit of legitimate sources. In short, they pay your ‘returns’ by using other people’s money. when new investors aren’t sufficient to give payments promised to previous ones, the Ponzi scheme falls apart. Not only do people not get their promised returns but they then realize the money they thought they had is no longer there because it was used to pay off earlier investors’ returns. So the idea of Ponzis isn’t new but the use of cryptocurrency ponzis introduces new challenges. Traditionally, to enable a Ponzi scheme, a normal bank account is required and a legal entity such as a limited company is formed to hold deposits from investors. However, most countries have strict controls requiring licensing from the government or the central banks to accept deposits or promote investment funds to the public. To mask the Ponzi scheme, they often use a physical product which can be anything from health supplements to mobile phone top-up vouchers or services such as educational packages to pass themselves off as legitimate businesses that use multi-level marketing. Accepting Bitcoin effectively sidesteps these issues especially in countries where Bitcoin’s status as a currency has not been conclusively determined yet since no bank account is required, and in many cases, the product or service is delivered purely digitally. No legal entity needs to be formed when no bank account is required, adding further anonymity to the people who start the Ponzi. Cryptocurrency ponzis also capitalize on the fact that although Bitcoin is starting to be known in the mainstream, the extent of understanding is usually limited to it being associated with overnight millionaires, it’s use in the drug trade and the MtGox hacks. It’s the promise of overnight riches that makes crypto Ponzis so alluring, much like how the huge gold price increase from 2000-2012 also birthed many gold-based Ponzi schemes. For crypto ponzis, the most common ‘products’ are cloud mining programs whereby people think they’re buying hashing power or renting mining machines to get returns. Such programs often promise extremely high returns that claim to make your money back in a matter of 2-3 months or even weeks. Legitimate cloud mining operations would generally yield a small profit if any at all in the ordinary course of mining where they leverage economies of scale and low power costs. They prefer to lock in longer term contracts and often receive funds upfront for better cash flow and certainty while giving their cloud mining customers a chance to make a small profit. For Bitcoin even large mining farms that buy equipment in bulk are generally looking at close to a year to break even. Any ‘Bitcoin cloud mining’ scheme that claims you can break even in 2-3 months is most likely a scam. Some Ponzi operators are smarter and claim to mine a variety of altcoins instead making it harder to verify but the general rule is that if mining is extremely profitable, the cloud mining operators would be better off mining for themselves instead of renting their hash out, especially if they can break even in 2-3 months. There are legitimate uses of cloud mining such as renting hashrate to mine a new coin but such uses are temporary in nature and involve risk as well. For example, if there’s a newly launched coin that you believe is promising and not many people have started mining it, renting hashing power to mine it while not many others are doing it can be very profitable if the coin subsequently becomes successful. But you are taking the huge risk that the coin will not take off. Once people recognize the mining opportunity and more people mine the coin, the returns will quickly decline and normalize and as such, such mining opportunities are very ‘event’ based and cannot be relied on to generate consistent returns. Such opportunities rely on the fact that they are unknown for long enough for people to successfully mine it and therefore there is little incentive for people to share this knowledge until they have already made their profits. Other crypto ponzis tell you they have a secret and proprietary trading or arbitrage arrangement and will trade/arbitrage using your money giving you a share of the returns. Again very high returns are promised such as 1% or even 3% daily interest. Some even use automatic ‘investment bots’ that claim to do all the trading on your behalf and give you a huge return. Again, even the best traders cannot make money all the time and there is no such thing as a sure win trading strategy. Successful trading is not just about identifying opportunities and periods of volatility and making an educated guess as to what direction the market will take. It is also about managing risk by taking profits in stages and managing losses by setting stop-losses. Successful traders don’t really have any need to utilize other people’s funds to make money unless they are charging a fee for their trading services and even they will have periods of unprofitability. Many are drawn to Bitcoin purely for the allure of making instant riches only to realize that they may have missed the boat already.This is where the scamcoin comes in, claiming to be an improved version of Bitcoin or cryptocurrency where it’s full potential has yet to be realized and that this is the new Bitcoin rocket to get on while it’s still cheap and relatively unknown. These fake altcoins often come with shoddy whitepapers that will fool those that do not understand cryptocurrencies and demonstrate a roadmap that’s more about how much the value of this coin will increase via “IPOs” and “coin splits” rather than a genuine development plan. The more professional ones will often take advantage of cryptocurrency-related publications and blogs that often do not do investigative journalism and pay for press releases in such publications to give an image of legitimacy. The ‘developers’ of such Ponzi altcoins also tend to be unknown with no history of having been involved with cryptocurrencies and the code for such coins tend to be closed source making it impossible for outsiders to verify the veracity of their claims. Most of these scamcoins do not have public blockchains and aren’t even genuine crypto currencies which allow the creators of such scamcoins to manipulate prices and balances at will thus creating the impression that the coin’s price is almost always rising. These coins also tend to only to be traded internally within the ponzi’s own network of sites. Identifying these Ponzis is not easy for the lay person and this is why even highly suspicious programs can operate until they collapse and expose their Ponzi nature. These can be believable enough that even those that have a cursory understanding of how cryptocurrencies work can be fooled. However there are certain distinctive hallmarks of these types of crypto Ponzis and although such a scheme may not tick all of them, the more suspicious traits it has, the more likely it is a Ponzi scheme. Huge and consistent returns If it sounds too good to be true, it probably isn’t. This is in general the biggest telltale sign of a Ponzi scheme. In general, the greater the rate of probable returns, the higher the risk. Whether cloud mining, investment programs or altcoins, no investment can consistently generate high returns with no risk or guaranteed returns. Remember all Ponzi schemes always begin with paying out or else they will not attract new recruits. Returns highly dependent on referrals: If the primary way of earning is through referrals or commissions, your alarm bells should be ringing since it means that the business model on its own is unprofitable. This is one of the primary differences between genuine multi level marketing programs and Ponzi schemes. Unclear Ownership: Are their founders anonymous or their company undisclosed on their webpages? Usually a quick Google search of their founders’ names can uncover any dodgy history. Need to join to get more information: To go under the radar of authorities, many websites of such schemes pose as legitimate businesses such as a coin wallet service, marketplace, cloud mining but the investment and referral portions are hidden until you sign up or go to their seminars. As such the website’s material and focus appears to be different from what their main focus which is recruitment and ‘investment’. Closed source and non public blockchain: For scamcoins, almost all of them are closed source meaning their code is not up for public review. Similarly their blockchain is private though more advanced ponzis have a simulation of a blockchain within their own internal websites. You can do a quick check to see if they are listed on coinmarketcap.com (although many scam coins are listed there so it’s only a very cursory check) which requires coins to be a genuine cryptocurrency, traded on a public exchange with an API available and must have a public URL that shows the coin’s total supply. Only internal exchanges: One of the biggest telltale signs of a Ponzi altcoin are ones that can only be traded within exchanges that are run by the company itself which allows them to manipulate prices and put up fake bid orders. Genuine coins will tend to be traded on the more reputable altcoin exchanges such as Poloniex and Bittrex though some new coins do take some time to be added there. Check if they’re listed on the BadBitcoin website: An easy rule of thumb is to check on this amazing resource at badbitcoin.org which identifies Ponzi schemes that utilize cryptocurrencies. The list is not exhaustive but the major ones are listed there. A combination of high potential of profits, technical nature and lack of regulation make cryptocurrencies a ripe place for Ponzis to flourish until regulators catch up with tackling them. Treat crypto investments promising amazing profits for very little risk with a healthy amount of skepticism and remember that Ponzis not only hurt you but also the friends and family you recruit. 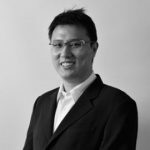 Reuben Yap is a strong online privacy advocate and cryptocurrency enthusiast and is the co-founder of BolehVPN which was the first online merchant in Malaysia to accept Bitcoin. He is also a practicing corporate lawyer and the community manager of the Zcoin project, the first cryptocurrency implementing Zerocoin technology allowing users to make private transactions utilizing zero-knowledge proofs.